Warrant Officer (j.g.) John E. Parsley, son of Mr. and Mrs. John Parsley, Olney, husband of Sadie Renick, attended Olney High. Entered AAC, 1940, trained at Chanute Field, Ill. Served in ATO. Awarded Victory and GCM, AD and ATO Ribons. 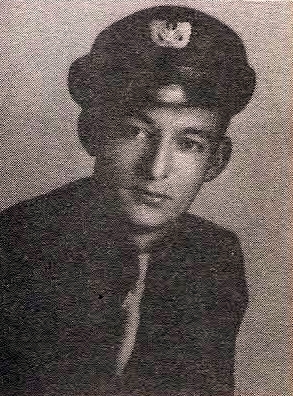 Dichard in 1946.